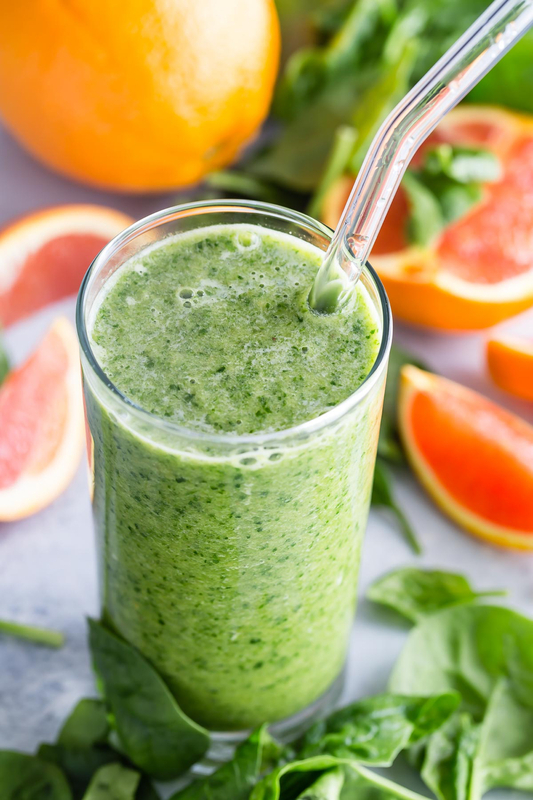 Hello bright green smoothie! Not only do you sparkle and shine with your emerald color, but you're also incredibly nutritious and easy to make. 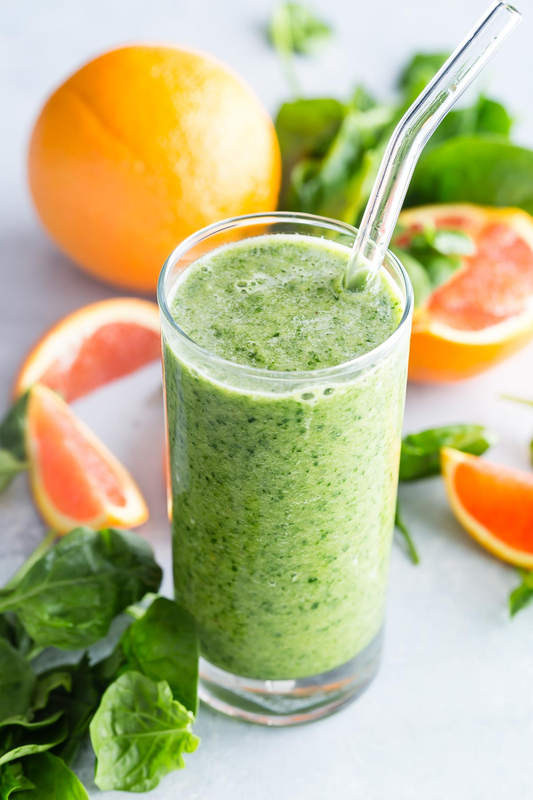 With naturally sweet fruit, and spinach leaves so tender you can't help but eating a few as you make it, this drink is the most simple way to get your dye-free green on to celebrate St. Patrick's Day with the kids! 1. Place all the ingredients in a blender and blend on high until smooth and creamy. We made these for St. Patrick's Day and the kids have requested them every day since. We did a few modifications...I didn't have mango so we substituted strawberry (it wasn't as bright but still very yummy). I also used a peach orange juice blend. Thanks for the inspiration! Do you have any good ideas for substituting bananas in smoothie recipes? I have recently developed an allergy. Bananas add sweetness. You can use dates or other sweet fruits instead. You can also use honey or maple syrup if you need the added sweetness! This looks amazing. My daughter and I are allergic to pineapples. What would be a good substitute? Peach maybe? Thank you for this. My kid loves it! So do I.